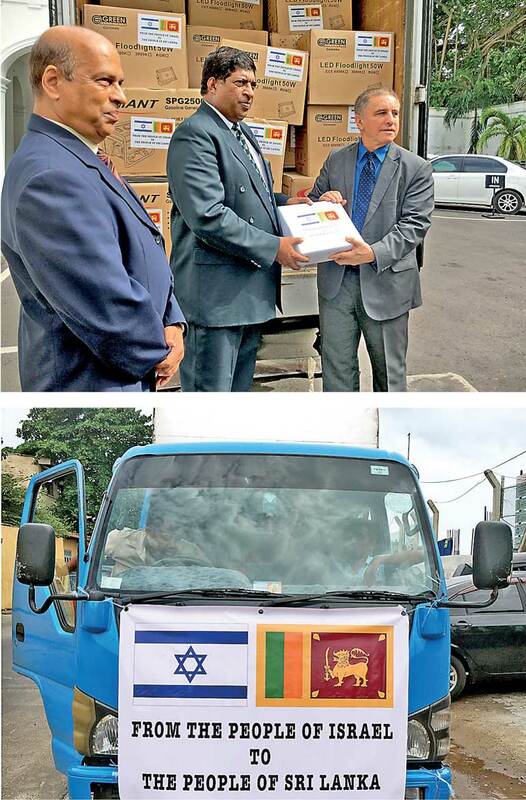 In the wake of the recent floods and landslides which have affected hundreds of thousands of Sri Lankans, the Government of Israel is providing Sri Lankan authorities with immediate disaster relief supplies. Just as they did after the floods of 2016, the Israeli people showed their solidarity with the people of Sri Lanka in words and deeds. From as early as 1958, when the young, emerging State of Israel sent supplies during the Ceylon Floods, Israel has continuously demonstrated its longstanding friendship with Sri Lanka. Ambassador Carmon delivered the supplies and the letter from President Reuven Rivlin to Foreign Minister Ravi Karunanayake at the Ministry of Foreign Affairs. The emergency supplies provided by the Israeli Embassy include strong power generators, drinking water, high-power light sources and other emergency first response supplies. The generators, which were in high demand, were immediately taken to areas which have sustained the worst damage through the floods and landslides.